The picture above is from Morgantown, Kentucky’s wonderful downtown. I love this picture, the autumn trees framing the scene at the top, the evidence of the old buildings (on top) blending with new businesses (on bottom). At first I thought, “If only the autumn decorations weren’t on the light post and if only the van wasn’t parked on the side of the road… it’d be perfect.” Then, when I thought about yesterday merging with today, I thought it was perfectly fine the way it is! I am completely obsessed with pictures of Kentucky. If you’ve had the chance to check out much of Genuine Kentucky, our picture of the day section, or our photo gallery, you’ll see what I mean. Who can blame a Kentuckian for wanting to photograph their home state… it’s beautiful! Some of my favorite things to photograph are Kentucky’s birds, wildlife, trees, rivers, and lakes. However, I’ve recently fallen head over heels in love with Kentucky’s small towns. The history buff in me could stand and stare at the old buildings, imagining people years and years ago walking in and out wearing the fashions of the day. If you stare long enough, you can almost see them. Problem is, if I stare long enough, I hear my husband asking me what’s taking me so long. Sometimes it’s not that I haven’t found the picture. I’ve found it, I’m just continuing to enjoy it. I’ve published a new photo album in the gallery entitled “Small Town Kentucky: Pictures of Small Towns Throughout Our State.” Morgantown is one of the first small towns to be represented, but make no mistake about it – there are more to come. The photo album will grow fast, and I really look forward to it. Needless to say, I can’t be everywhere at once (my cats have set curfews which must not be broken). 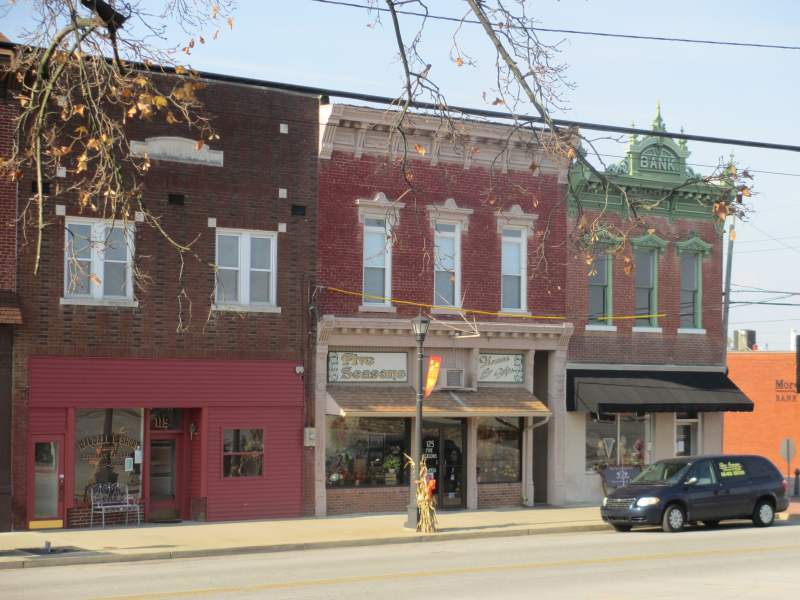 If you have pictures of Kentucky’s small towns you’d like to share, by all means pass them along. I’ll give you full credit and undying gratitude. Also, if you have any old stories to share or information about any of the buildings, landmarks, or town’s history (or just fun memories! ), be sure to leave comments on the page(s). Never breeze through a small town again. Stop. Look. Reflect. Respect.